Why Pay More? You Get More! Why Pay More for UMT Workbooks? You Get More! Why Pay More? I received an email from a Teacher who asked "I'd like to know if there is a chance in the near future that the four rudiment workbooks may be divided into maybe three thinner books, thus each can sell for about $10? My parents have no problem with books of that price range. However, it's a little harder with books that go above $20, even though they know the books are thicker. They would rather buy and pay more often." From talking to teachers and parents, I know that cost is often an issue. Why pay more for the Ultimate Music Theory Workbooks? 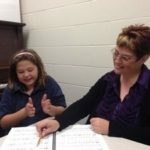 Parents, that is simply because your child deserves the best and here's 6 Reasons why you Get More with the Ultimate Music Theory Series. Meet the needs of every Learning Style - Visual, Auditory, Kinesthetic and Special Needs (ADHD, ADD, Autistic, Delayed Tracking Skills, Challenged Learning, etc.). Present concepts using a "Step-Stone Method" that builds learning step by step, ensuring that every child will "get it". Pre-Teach the foundations of difficult concepts so that when they are introduced, every child understands them and has a "that was easy" moment. Teach children how to read, write, hear and play music - and not just "copy" - so that every child can apply their theoretic knowledge into their practical learning and pedagogical studies. 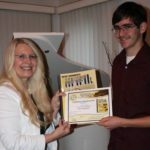 Ultimate Music Theory Workbooks, Exam Books and Games are consistent! The font and size is always the same. Every time a font changes on a page, a child's mind must readjust. So why change the font? Efficient layout of the Ultimate Music Theory Workbooks - NO wasted spaces! The inside of the Front Cover is a Theory Guide for easy reference. The inside of the Back Cover is a Theory Chart - a convenient summary of key concepts. Students have to "write on every page". Learning happens from the TOP of the page to the BOTTOM. Easy to follow Step by Step teaching system that ensures learning success. Mnemonic devices for better memory that result in higher test scores! 12 Comprehensive Review Tests support retention of ALL concepts learned in previous lessons! When your child is ready to write their Theory Examination, they will not have to go back and "relearn" any concept. They will have consistently reviewed and applied every single concept as it has been taught. 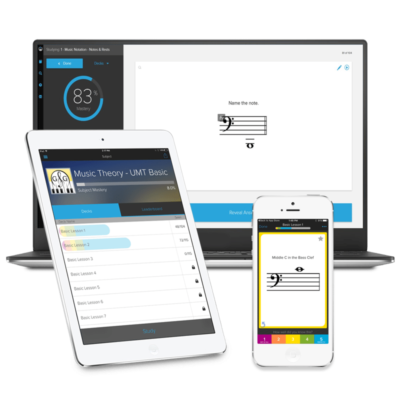 When they are preparing for their Exam, the Ultimate Music Theory Exam Series will prepare them for their written exam - guaranteed! When your child scores 100% on their Nationally Recognized Theory Examination, they join the 100% Club and receive a Gold Pin and a 100% Club Certificate. 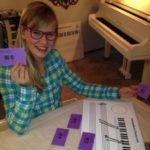 80 FREE Flashcards - included in each Ultimate Music Theory Workbook! The color coded Flashcards match each workbook and review vocabulary, musical signs, rhythm and more. Parents - use the Flashcards to study WITH your child! The term, sign or concept "question" on one side of the Flashcard. The definition in the square box for the opposite side of the Flashcard. Finally, parents without a background in Music can support their child's learning AND can have fun with their child! Why Pay More? Get More! The cost benefit - spend a bit of money NOW and save a lot of money in the future. 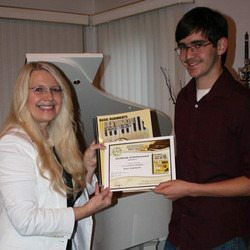 Why pay more for the Ultimate Music Theory Workbooks - in the long run, Parents will SAVE MONEY! How? All requirements for each Theory Level are in one book. Parents, you do not have to spend $40 on 3 books! Why pay more? You can receive all the material your child needs in one book that is less than $30. Your child will not require the purchase of extra supplementary theory material to explain the concepts that are not taught properly. Why pay more now? It's simple parents - buy one book now and you will not have to spend extra money later for "review books" because your child is struggling with learning a concept. Your child's teacher will be able to spend less time "reviewing and explaining" and more time "teaching", so your child will learn better, faster and easier. So why pay more? 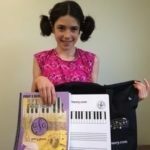 When your child is in music lessons and your child's Teacher asks you to purchase the Ultimate Music Theory Workbook - you know that with UMT you Get More - because Your Child is Worth It! P.S. - Join the Conversation! Teachers, why are your students worth it? Share how you describe the benefits of the Ultimate Music Theory Workbook Series to your parents when they ask why pay more? We appreciate hearing from you, your students and your students parents.